During Christmas holidays we have a lot of free time to enjoy with family and friends. Sometimes we don’t have anything do and we just stay home watching Christmas movies. One of the most popular Christmas movie is Home Alone. 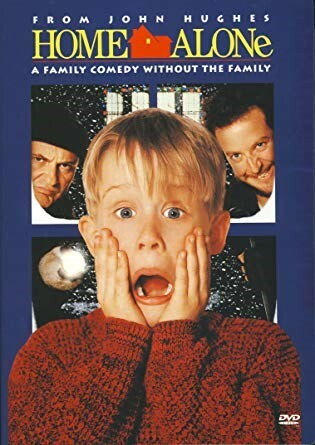 Home Alone was made in 1990, it was about an eight-year-old troublemaker named Kevin McCallister that must protect his house from a pair of burglars when he is accidentally left home alone by his family during Christmas vacation. This movie is very funny and entertaining because all the things that Kevin does to the burglars. The burglars are played by Joe Pesci and Daniel Stern and Kevin McCallisters played by Macaulay Culkin which was a very famous kid actor. Macaulay Culkin made a lot of movies as a kid but done hit the fame that Home Alone did. Culkin was nominated for the Golden Globe Award for Best Actor – Musical or Comedy, and Home Alone was nominated for two Academy Awards: Best Original Score, which was written by John Williams, and Best Original Song for “Somewhere in My Memory”. After its release, Home Alone became the highest-grossing live action comedy film of all time in the United States. Home Alone has been hailed as a holiday classic among audiences, and is often ranked as one of the best Christmas films of all time. Popular: Enjoyed by many people. Ranked: A place within a grading system. Write down an experience you had last Christmas. Which is your favorite Christmas movie? Welcome to this activity created by Junior Advisor Alejandro Rivera Romero from Satelite Branch. Take note of all the pink words, read the text, watch the video and answer the question in the comment section below. Next PostWhich is Your Most Anticipated Movie of the Year?